On an area of ​​around 5,000 m², eagles, buzzards, hawks and kites make their rounds in daily flight demonstrations Around 25 to 30 rare birds of prey live here in pairs in the aviary all year round, a species-appropriate attitude is our top priority. 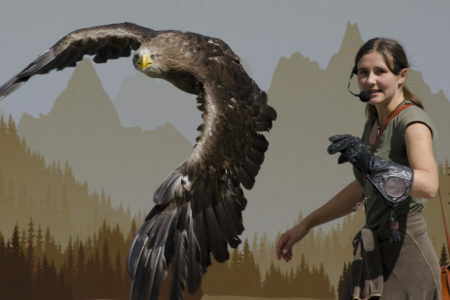 Cared and trained by professional falconers, birds of prey are the undisputed stars in the flight demonstrations. In elegant gliding, daredevil dive’s, fast-paced gliding flight, they glide over the heads of the spectators at breathtaking speed or silently glide towards prey or the outstretched hand of the respective falconer. 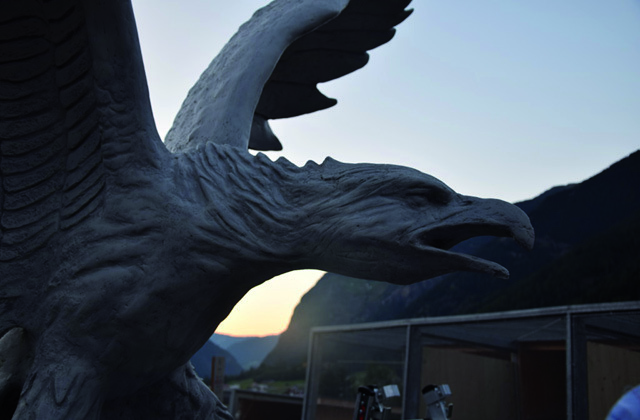 An impressive experience for the whole family..An educational trail on the history of falconry completes the offer. You can visit the birds in the aviaries, half an hour before and after the flight demonstrations. Many thanks to all of our Birds of Prey sponsors! Your contribution is extremly valuable and enables our birds the best possible care! 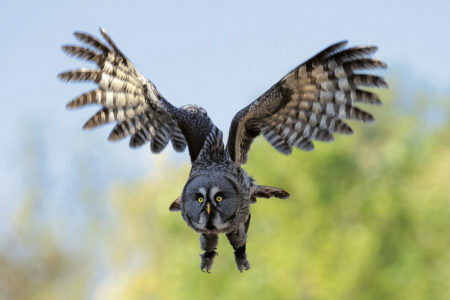 Many imposing species of birds of prey such as eagles, vultures kites, buzzards, hawks, ravens and owls find themselves at home on the Birds of Prey Park in Umhausen. 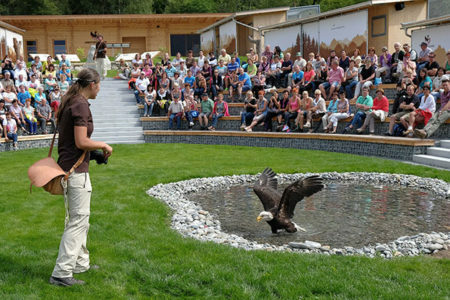 The Birds of Prey Park in Umhausen is open daily from the end of April till the beginning of November. Off season: Mondays closed. The spacious arena seats 400 visitors and offers the perfect place to watch the flight shows and experiance the birds up close! 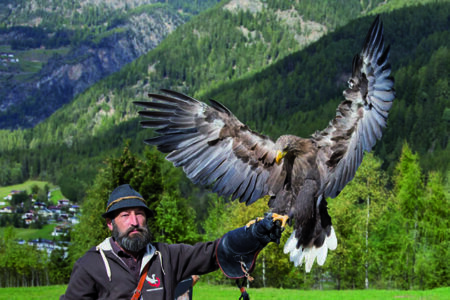 Falconry belongs to the intangible cultural heritage of UNESCO. 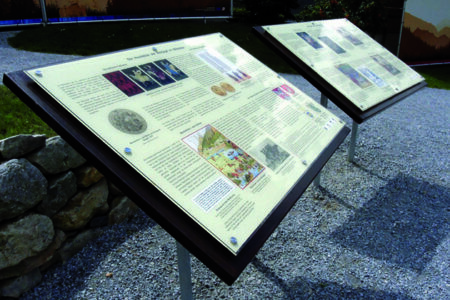 The nature trail in the Birds of Prey Park informs about the traing of falcons. 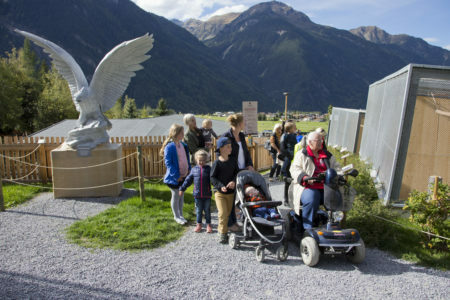 The Birds of Prey Park offers wheelchair and push-chair access on the whole grounds. You can view the birds about half an hour before and after the shows. 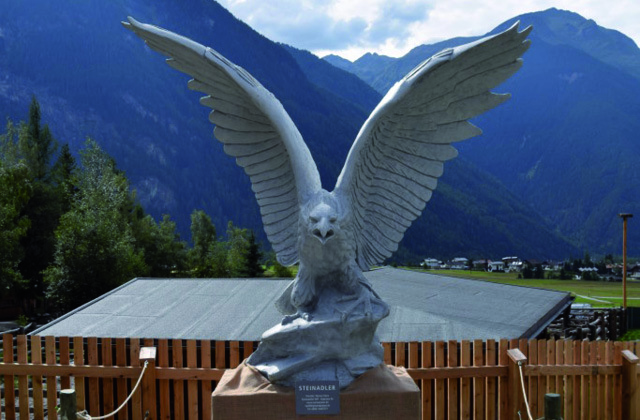 The aim of the ‘Birds of Prey Park’ is also to arouse the interest and understanding of endangered species, to keep conversation’s about our environment alive, and to bring the visitor closer. The promotion and conservation of biological diversity, educational work, pedagogical activities for children and the idea of, protection are at the centre of our work. For the keeping and care of our birds we have particularly strict conditions, which are observed for the benefit of the animals. 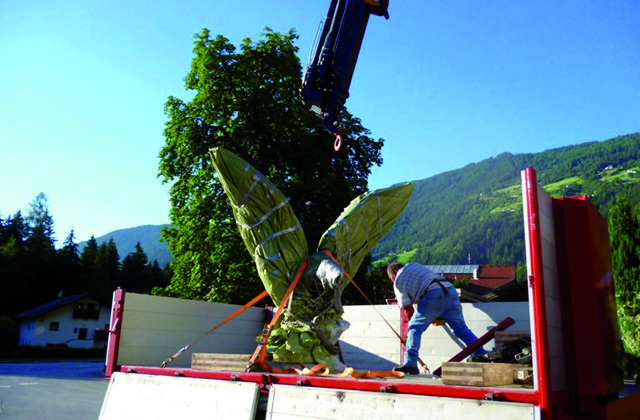 The stone sculpture “Steinadler” has landed! A work from artist Werner Pienz – Art with soul and style!